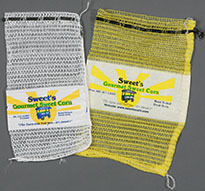 Mesh and knit bags ideal for the packing of produce, citrus, firewood, and shell fish. They are available in various weaves and colors and with or without print band labels. Made of jute, a natural fiber, burlap has been a traditional packing medium for agricultural products such as peanuts as well as general commodities, and sand. 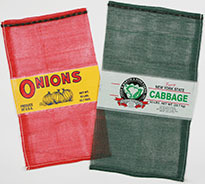 Burlap squares are used to wrap tree and shrub roots in the nursery industry. 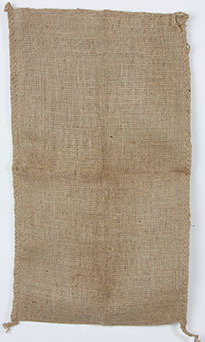 Burlap is recyclable and biodegradable.